The new documentary by Bill and Turner Ross River is having its premiere on Wednesday, May 1st at 7PM at the Innis Town Hall. The Cinémathèque française in Paris was founded in 1936 by Henri Langlois, Georges Franju and Jean Mitry. It has a rich history: Langlois is famous for his early film preservation and programming (cf. Entretien avec Henri Langlois, Cahiers N.135). It played an important role in the development of French film culture. Along with curating many important full director retrospectives, it has also works on restoring films. Its archive is an important resource for film scholarship. It has evolved with time to adapt to new technologies and cultural institution guidelines. In 1998 the Cinémathèque moved to its current location in the former Frank Gehry designed American cultural center at 51 rue de Bercy in the 12nd Arrondissement. At the Cinémathèque there are movie theaters, an exhibition space, a museum, a permanent collection, and a library. On their website these different areas are updated regularly to reflect their newest programs and content. Their film programming and exhibitions reflect the vast diversity of film history and is organized with a flair and adventurousness. The exhibitions that they currently have on are Le monde enchanté de Jacques Demy and Exposition Maurice Pialat: Peintre et Cineaste. The Musée de la Cinémathèque has on display a variety of memorabilia from throughout the history of cinema (cf. the English audio guide). Its director general Serge Toubiana, a former chief-editor of Cahiers, also maintains a good blog. The film magazines Cahiers du Cinéma and Positif, amongst its local film coverage, regularly publishes dossiers to correspond with the programming and exhibitions at the Cinémathèque (cf. Hallucinations cinématographiques). But I want to focus here on the video section of the Cinémathèque which is perhaps one of their greatest online resources. The rencontres à la Cinémathèque française are events at the Cinémathèque where they get film scholars to "talk about films, filmmakers, cinema, films movements, and technical aspects. The goal is to create cinema through its discussion, to talk about everything that makes cinema so alive and an evolving art form that is constantly re-inventing itself." The talks are just as good as any published French film criticism but they are of special interest as they put faces and the dynamism of speech to writers that one might only be familiar with in print. In this video section there are: dialogues and cinema lessons, round tables, conferences, presentations and lectures. The sections are further divided by themes. But if you go to the Voir toutes les vidéos you can see all of them (the current count is 304). La critique de cinéma et le défi Internet : de la revue au blog? 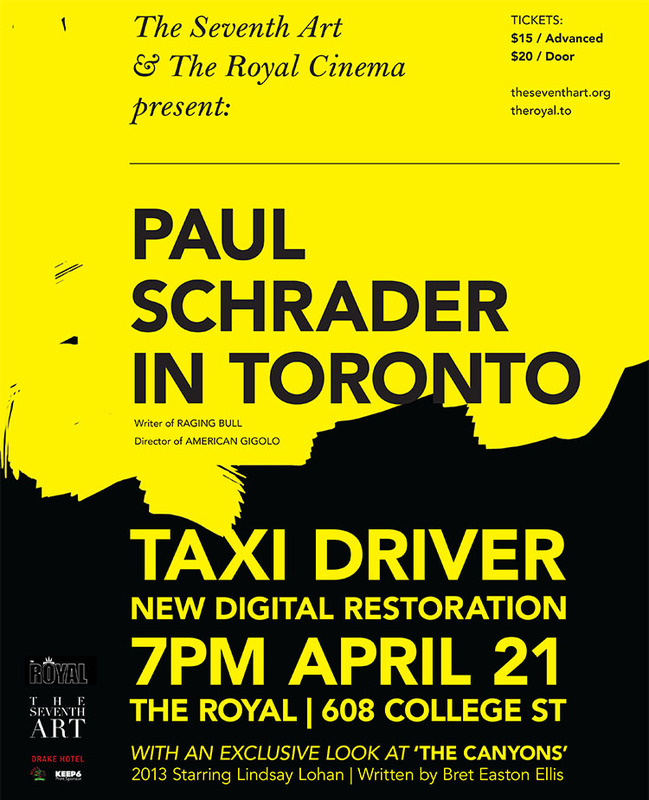 Paul Schrader will be attendance at The Royal for an exciting screening of the new digital restoration of Taxi Driver and an exclusive clip from his new film The Canyons as part of the The Seventh Art Live Directors Series on Sunday April 21st at 7PM. "One of the exciting and maddening features of Jean-Luc Godard's work is that everything he touches invariably seems to lead to a disquisition on the nature and possibilities of cinema," writes Daniel Morgan in his new book Late Godard and the Possibilities of Cinema. This isn't only appropriate to describe Godard's late films, as Morgan argues, but also regarding his entire body of work including his early film criticism at Cahiers du Cinéma. "There was theatre (Griffith), poetry (Murnau), painting (Rossellini), dance (Eisenstein), music (Renoir). Henceforth there is cinema. And the cinema is Nicholas Ray." One of the great reviews in Godard on Godard is that of Alfred Hitchcock's The Wrong Man (which is below, that I transcribed from the book). The debt Godard pays to Hithcock, whether in his interviews filled with cryptic remarks or in Histoire(s) du cinéma, can be traced back to this review. Annette Michelson, addressing it in her preface to the book, "Among the earliest and finest formulations of his notion of a cinematic continuum of fiction and documentary film, is the 1957 essay on Hitchcock's The Wrong Man." Rosenbaum has another article Le Vrai Coupable: Two Kinds of Criticism in Godard’s Work that elaborates on Godard's two kinds of criticism, “Since the outset of his career, Godard has been interested in two kinds of criticism — film criticism and social criticism — and these two interests are apparent in practically everything he does and says as an artist.” According to Rosenbaum, "what I regard as Godard’s best single film review — his analysis of The Wrong Man, Le Cinéma et son double, published in Cahiers du cinéma in June 1957." He elaborates, "In Le Cinéma et son double, Godard’s analysis of Hitchcock is concerned mainly with stylistic articulations of states of consciousness, metaphysical states of being, and thematic and dramatic significations." In each new issues of Cahiers there is almost a competition between all of the films being released that month in Paris to get on the cover and be that issue's Événement. Afterwards there is the Cahiers Critique, which are still highly valued, and then finally Notes sur d’autres films. The films and filmmakers' worth is expressed by how much space, whether it is a couple of sentences or paragraphs or pages, their reviews get in the magazine. The writers define themselves by what films they end up reviewing and how they write about them. As I tried to illustrate in my recent Shyamalan and De Palma posts, the reviews are in continuity with what has been printed about the filmmakers in the past. There is an over sixty year tradition of film criticism at Cahiers, which started out with some critics that would become the French New Wave, and today's writers reflect that heritage. - D.D. First Act. The Stork Club, as everyone knows, is one of the most sophisticated rendezvous in New Yrok. Air-conditiong, whiff of Havanas, hi-fi lipstick … but the camera, in the room which is emptying behind the credits, is focused not on the neurotic stars, nor on the millionaires out on the town. It gradually draws closer to the mild little orchestra playing a languid blues. The Stork Club closes. Christopher Balestrero (Henry Fonda) plucks a last chord, puts away his double-bass, and, after wishing the doorman good night, leaves. Just then, because of the angle at which the scene is shot, two policemen seem to close in on him. It is just chance. They pass him and continue on their beat. In this shot Hitchcock is symbolizing, even more than Balestrero’s imminent arrest, the primordial role which will be played by chance in The Wrong Man, leaving its unmistakable mark on every foot of it. Psychology, in the usual sense of the word, matters little to the director of The Man Who Knew Too Much: all that counts here are the twists of destiny. Hitchcock, moreover, playing the game and playing it fair, has warned the spectator even before the credits. In violently contrasted lighting, one speaks: ‘This films is unlike any of my other films. There is no suspense. Nothing but the truth.’ One must read between the lines. The only suspense in The Wrong Man is that of chance itself. 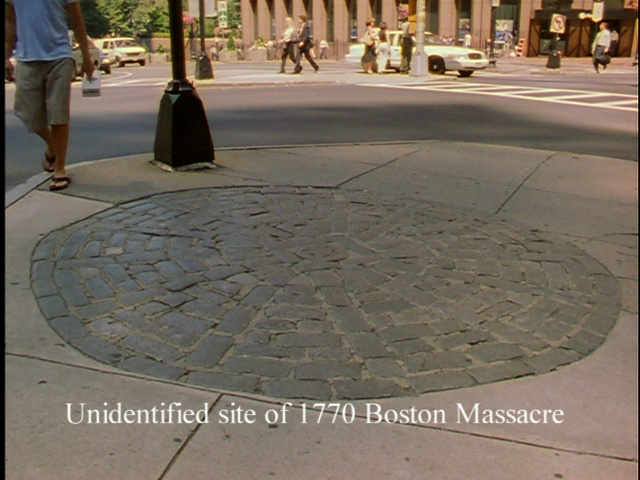 The subject of this film lies less in the unexpectedness of events than in their probability. With each shot, each transition, each composition, Hitchcock does the only thing possible for the rather paradoxical but compelling reason that he could do anything he liked. “Che sera, sera’, because What Will Be Has Been. To return to the story. Balestrero – Manny to his friends – takes the subway home to sleep the sleep of the just. During the journey, he annotates the racing results in his paper. He sometimes gambles small sums, more for something to do than from a lust to win. When his wife Rose (Vera Miles) asks him about it, he says that the horses interest him less than seeing how much he might have won or lost on imaginary bets, which he often makes for his own amusement and because he enjoying calculating, which, as he says, its his business as a musician[i]. It is worth noting in passing that none of the shots of the newspaper Balestrero is reading in the subway is expendable. Throughout his entire career, Hitchcock has never used an unnecessary shot. Even the most anodyne of them invariably serve the plot, which they enrich rather as the ‘touch’ beloved of the Impressionists enriched their paintings. They acquire their particular meaning only when seen in the context of the whole. In the newspaper, for instance, we are shown an automobile advertisement. We realize that Balestrero has a wife and two children because a young woman and two children are grouped round the car, making our unassuming hero smile. Another, even better, example: in the paper there is also an advertisement for an insurance company. This shot explains why Balestrero promptly things of borrowing on his insurance policy when Rose, suffering with a wisdom tooth, asks him for three hundred dollars to pay the dentist. Closing the discussion with Rose, is already in bed, comes in the first of five or six marvelous close-ups which illuminate the film with brilliant flashes worthy of Murnau, not to mention Dreyer. After having gently, femininely one might say, complained about her teeth, Rose readily lets herself be persuaded that she is the sweetest wife in the world. She asks Manny to be good and let her go to sleep. Reaction shot and long close-up of Henry Fonda staring abstractedly, pondering, thinking, being. In connection with this, there is a similar close-up in an important scene in the last reel but one, after Rose’s examination by a psychiatrist[ii], when Balestrero decides to send Rose, now mad, to the best clinic he can find. The beauty of each of these close-ups, with their searching attention to the passage of time, comes from the sense that necessity is intruding on triviality, essence on existence. The beauty of Henry Fonda’s face during this extraordinary second which becomes interminable is comparable to that of the young Alcibiades described by Plato in The Banquet. Its only criterion is the exact truth. We are watching the most fantastic of adventures because we are watching the most perfect, the most exemplary, of documentaries. These two close-ups are morally bound to end in the same way. In one, Balestrero tells the psychiatrist, ‘I want the best for her.’ Manny loves Rose even more because her fears for their happiness in this life have driven her mad 0 an irrefutable proof of their love for each other. In the other, the close-up ends with a pan on Fonda as he bends to kiss very Miles in the hollow of her neck. The following morning, while pacifying his squabbling sons, Balestrero decides to ask the insurance company how much money he can borrow on Rose’s policy. But as he enters the insurance office, a clerk thinks she recognizes him as the man who held up the office a few months ago. Alerted, the police are waiting for Manny outside his house and take him away for questioning without giving him time to tell Rose. At the police-station he learns that he is suspected of not one, but a whole series of hold-ups in local stores. The sums stolen are small – thirty, forty-five, seventy dollars. But the sense of a machine grinding inexorably on is made even stronger by the fact that the police, witnesses and décor are all rather grey, seedy and weird. Here the script effortlessly acquires that naturalness in invention which distinguished all Griffith’s films. As a result, a simple procedure like the reverse angle shot recovers its original effectiveness, thanks to the ‘truth’ of the plot’s premises. The shot changes are conditioned solely and simply by changes in viewpoint. For instance, when the two insurance company ladies have to pick out Balestrero from a line of suspects, a lesser director might have used a lateral tracking shot as they count ‘One, two, three, four’, alternating between the women and the police, and coming to rest each time on Fonda, who is fourth in the identity parade. But this way we would be given only the separate viewpoints of the women, the police and the innocent suspect. Hitchcock gives us them all rolled into one. We hear, but do not see, the women counting to four; the camera turns away from Fonda for a shot of the police chief, whose eyes move four times in succession. A close-up of the inspector would also have been a mistake, for it is not his point of view which matters (his eyes move with professional detachment, without expression) but Balestrero’s, whom one imagines to be terrified precisely this mechanical response. Even more than a moral lesson, The Wrong Man is a lesson in mise en scene every foot of the way. 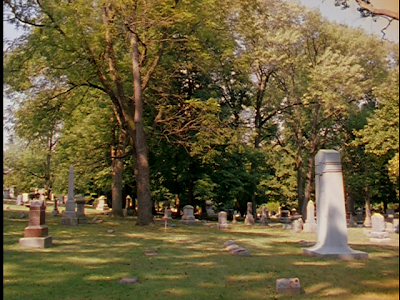 In the example I have just cited, Hitchcock was able to assemble the equivalent of several close-ups in a single shot, giving them a force they would not have had individually. Above all – and this is the important thing – he did it deliberately and at precisely the right moment. When necessary, he will also do the reverse, using a series of rapid close-ups as the equivalent of a master shot. Hitchcock makes us experience the taking of fingerprints – that mark of shame, once burned into the accused’s flesh by an executioner with a red-hot iron – with terrible immediacy. Thumb, index, second finger inked, the policeman’s face, Fonda dazed, distortion of the wrist as the fingers are pressed on the card, the shots overlapping each other because they are cut exclusively with the movement, in a rapid, frenzied montage reminiscent of Mr. Arkadin. The lull which follows, as his pockets are emptied before he spends his first night in prison, merely emphasizes the physical and moral vacuum in which Balestrero finds himself with strength enough only to see, to register. This explains why, immediately after this, Hitchcock resorts to the most elementary of techniques for Balestrero’s arrival in his cell. What might have seemed supreme affectation coming from the most celebrated of camera virtuosi is in fact a proof of his unpretentiousness. 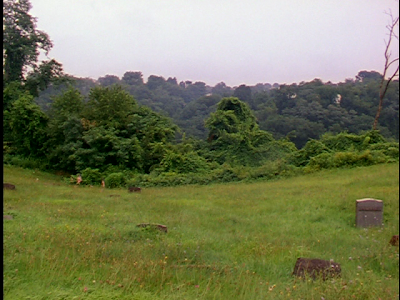 As his adventure is lived, he presents it, like Bresson, without embellishment. Balestrero enters his cell, he looks at the bed – reverse angled of the bed; the washbasin – reserve angle of the washbasin; he looks up –reverse angle of the ceiling and wall; he looks at the bars – reverse angle of the bars. We realize that he is seeing without looking (Lieutenant Fontaine does the exact opposite), just as during the trial he hears without listening. Once again Alfred Hitchcock proves that the cinema today is better fitted than either philosophy of the novel to convey the basic data of consciousness. Balestrero leans wearily against the wall, as though drunk with shame. He shuts his eyes firmly, trying for a second to pull himself together. Framing him in medium shot, the camera begins to describe increasingly rapid circles round him in an axis perpendicular to the wall against which he is leaning. This gyratory movements serves as a transition to the following shot, which shows Balestrero being brought into court the following morning to determine according to the American custom, whether he will b e sent to trial or not. As so often, it is in these transitions that Hitchcock analyses feelings and subjective impressions too insignificant to find their way into an important scene. Through this camera movement he manages to express a purely physical trait: the contraction of the eyelids as Fonda closes them, the force with which they press on the eyeballs for a fraction of a second, creating in the sensory imagination a vertiginous kaleidoscope of abstractions which only an equally extravagant camera movement could evoke successfully. A film comprising only such notations would be nothing; but one in which they are thrown into the bargain – that film is everything. Since Rear Window, Hitchcock has deliberately multiplied this sort ‘epidermic’ effect, and if he relegates the plot thread to the background, he does so the better to reveal its palpable beauty by fits and starts. These neo-realist notations are never gratuitous. They are so many precipitates of a body whose nature – to paraphrase La Bruyere –reveals itself once thrown into the battle of the world. To look around oneself is to live free. So the cinema which reproduces life, must film characters who look around them. The tragedy of Christopher Emmanuel Balestrero is that he can no longer look around. And Hitchcock is right to claim that The Wrong Man is not a suspense film like his previous ones, because it is the reverse. The suspense no longer even stems from the fact what one knew would happen does happen, as in The Man Who Knew Too Muchm but on the contrary from the fact that what one was afraid of happening does not finally happen. Poor Clouzot, who still believes in Fantomas, whereas in The Wrong Man the terror arises because suspense itself is the phantom. Admirable in this respect is the scene, beautifully shot by Robert Burks, where the police-van taking Balestrero to the courthouse crosses a suspension-bridge: a small black silhouette rattling along in the shadow of the huge girders and strangely reminiscent of Nosferatu’s carriage arriving in the land of phantoms. Manny, in fact, no longer really knows whether it is he or other people who have become ghosts. The few shots of streets flashing by one after another before he sees his wife again in the courtroom seem, both to him and to us, like a mirage. Rose herself is a mirage. She can be glimpsed dimly in the background when Balestrero is refused bail because he cannot raise the necessary 7,500 dollars. Along with other prisoners he is taken to the prison on Long Island while waiting to appear before the District Attorney. Insulted and injured: this might be the Dostoievskian subtitle to the Second and Third Acts, which end with Balestrero once again being imprisoned among the common law criminals. The bad dream has become reality. In I Confess, Father Logan refused to talk. In The Wrong Man, Balestrero comes to mistrust language itself, first from shame, then from lucidity. In the world of detention which becomes his, he no longer looks at anything but the feet of the man walking in front of him. Here Hitchcock repeats the technique of tracking backwards, followed by a reverse angle track forward, used in the last of I Confess, where Karl Malden watches, over a subordinate’s shoulder, Anne Baxter talking to Montgomery Clift. Another effect, this time from The Man Who Knew Too Much – the lateral tracking shot over notes of music in close-up – is repeated here when Manny, at the police-station, rereads the note which the police dictated to him and notices that he has made the same spelling mistake as the real criminal. It is worth noting, however, that in The Wrong Man these three effects are used at less critical moments than in the earlier films, and strengthen these moments the more because they are unassumingly placed[iii]. There can be no better proof that Hitch never repeats a device without being perfectly aware of cause and effect. Today he uses his great discoveries as aesthetic conclusion rather than postulate. Thus, the treatment of a scene in a single shot has never been better justified than during the second imprisonment when Manny, seen from the back, enters his cell: the steel doors closes behind him, cutting off the camera’s view, which then reframes him through the spy-hole. A few minutes pass. Manny, a genuine ‘Dead man on leave’, seems completely amorphous. Then one hears off-screen cries of ‘Balestrero! Balestrero!’, growing louder and louder. Manny faces the camera, which retreats to frame the door again with Manny’s eyes seen in the CinemaScope-shaped spy-hole. This composition repeats the one where Manny, seated between the two policemen after his arrest, sees the driver’s eyes watching him in the driving-mirror of the Chevrlet. Repeats it, but reverses its meaning. The camera retreats before Manny after having pushed him into the cell. A first miracle enters the lists. The film seesaws completely. Fourth Act. Manny is released on bail. 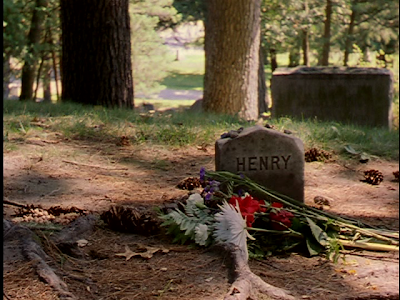 The money has been paid by his brother-in-law, waiting for him outside with Rose, who now becomes the central character for the rest of the film. Hitchcock indicates this by a single shot. While Balestrero is reunited with his sons, Rose telephones a lawyer and the director lingers over this telephone call. Pointlessly, it would seem. But not so. It is in this shot that we find once again the favourite transference of guilt theme of the director of Strangers on a Train. In The Wrong Man, the transference no longer resides in the innocent man’s assumption of the real murderer’s crime, but in the exchange of Manny’s liberty against Rose’s. As the accusation is false, the transference is false; or rather, a transference of innocence. The wrong man becomes the wrong woman: Hitchcock, we must not forget, is more than anyone else the director of the couple. Rose’s innocence is here taken in its original sense of naïveté. Rose is innocent enough to believe herself guilty for having doubted her husband’s innocence one second; less even than that, for having believed it possible to doubt. She is punished for having feared the possibility of something which never happens, a possibility which she had no cause to fear since she lover her husband. Naïveté, even at its most candid, often displays the most subtle emotions. Rose’s innocence – her stupidity, almost – is the sole cause of her sudden madness. Think of the scene in which, worried about Balestrero’s absence, she receives a telephone call from the police, who tell her about the accusations against him. Rose’s first reaction is curious: ‘I thought it was something like that.’ She says precisely what she would never dream of thinking, what she never will think. But the simple fact of having said it is enough to make her doubt herself. The most childlike mind is also the proudest. Rose must pay for the folly of her tongue with madness. Goethe and Balzac have described heroines like this, who discover in the terrifying logic of their passion, first the cause of, and then a natural pasture for their physical degradation[iv]. A modern Odile or Honorine, Rose does all she can to help Manny find the alibis their attorney wants to establish. As they were on holiday at the time of the hold-ups, they hunt for the people they played cards with so as to be able to refute the evidence. During the quest, Rose, alas, cannot prevent herself from gradually realizing that she is helping her husband more out of duty than from the natural inclination of her heart. The Fourth Act ends with the eruption into the open of this discovery, which had been gnawing Rose from within. Manny learns that his last witness is dead. Rose bursts into hysterical laughter. A coup de theatre? No. As Aristotle says: it is probable that many things happen against probability. If Rose goes mad from remorse, it is because it is logical that madness should happen against logic. Each crucial scene in The Wrong Man has in effect its respondent, its ‘double’, which justifies it on the narrative level while at the same time ‘redoubling’ its intensity on the dramatic level[v]. Rose’s burst of laughter echoes that of the little girls who now live in the apartment belonging to one of the missing witnesses. The domestic scene where she hits Balestrero is the double – the negative – of the one at the beginning of the film in which she jokingly expresses mild doubts about the probability of their happy in this world. The arbitrary nature of the situation is obviously echoed by the direction. The blow in which Fonda is hit by a brush is handled in four extremely rapid shots, in which one only sees the start and finish of the gesture: Rose with the brush, Fonda, the broken mirror, Fonda’s injured forehead … the montage is almost that of Ballet mecanique, though conspicuously restoring its fortunes. More: Hitchcock shows us that a technical discovery is pointless unless it is accompanied by a formal conquest in whose crucible it can shape the mould which is called ‘style’. To the question ‘What is art?’, Malraux has already given a precise reply: ‘ that by which forms become style’. Fifth and last Act. Close-up of the rosary which Balestrero is telling under the table while his attorney O’Conner, playing at being the Parry Mason of Stanley Gardner’s novels, attempts to make the witnesses for the prosecution contradict themselves[vi]. By quibbling over details, he achieves his aim. A member of the jury, exasperated by the discussion, stands up and asks the judge to stop these silly goings-on. O’Connor seizes his chance, and invokes a breach of procedure to claim a mistrial. His point is upheld. A premonitory sign of the second miracle. Still released on bail, Manny returns home. His mother has been looking after things during Rose’s absence at the clinic. He regrets that the trial has been adjourned. The false accusation weighs on him even more heavily than if it were true. However, he tells his mother, he has preyed God to help him. One should not ask God for help she replies, but for strength. In his room, getting ready to go to the Stork Club, Manny thinks about what she has said: ask God for strength. Close-up of Fonda knotting his tie. Close-up of a picture of Christ. Another close-up of Fonda looking at the picture which becomes a superimposition: behind Fonda’s face appears a shot of a street with a man in a raincoat and felt hat walking towards the camera until he comes into matching close-up. His features seem about to coincide with those of Fonda, his chin to overlap Fonda’s, his nose to melt into Fonda’s… but no, the superimposition vanishes. And we are left with the real criminal before our eyes as the camera pans with him while he attempts another hold-up. The transition here is no longer a hinge articulating the story, but the mainspring of the drama whose theme it paraphrases. The real criminal, apprehended thanks to the cool nerve of a shopkeeper’s wife, is taken away in his turn to the police-station. The officer who had interrogated Manny passes the main in the corridor, leaves the station, takes a few steps, pauses, and we realize that he understands that Balestrero is innocent. ‘Okay, Manny?’ he asks, after sending for him. ‘Okay,’ replies Fonda with a wonderful smile. The last scene of the film shows Balestrero at the clinic. In spite of the good news, Rose is far from cured. ‘I was hoping for a miracle’, says the disappointed Manny, ‘Miracles do happen,’ replies a trim nurse, ‘you just have to know how to wait.’ Two years later, we learn in an epilogue, Rose is cured and living happily at home with her family. Draw your own conclusion. [i] This character played by Henry Fonda is reminiscent of the reporter in Rear Window in his semi-inertia and his taste for playing – like the bourgeois family in Shadow of a Doubt – the detective of thrillerdom. [ii] Hitchcock handles this scene less satirically than Rossellini does an almost identical one in Europa 51 when Ingrid Bergman refuses to answer a psychiatrist. 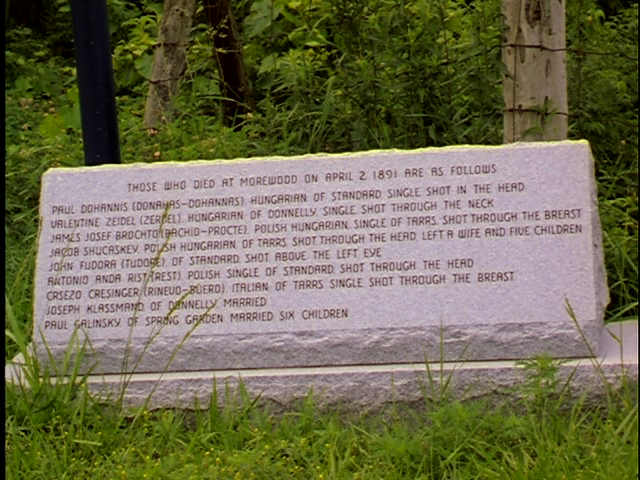 [iii] In the same way, the enormously long tracking shot which ends Young and Innocent was repeated in Notorious, but in the middle of the film. [iv] Vera Miles’s character, though more extreme, here minds one of those played by Ingrid Bergman in Notorious and Under Capricorn. [v] To cite at random: the two imprisonments; the two handwriting tests at the police-station; two conversations with Rose in the kitchen; the two hearings; apart from the credit sequence, the Stork Club appears twice; Manny goes twice to the clinic, twice to the lawyer, twice with the two policemen into two shops for identification; the spy-hole duplicating the driving-mirror; the insurance company is in the same building as the lawyer’s office; the two miracles happening on Fonda’s face; Bernard Herrman’s score is based on two notes, etc. [vi] The justification of this clever attorney’s maneuver is that one of the secretaries – the second witness called – makes an accidental slip when she is asked to point out Fonda, who is seated, and says, ‘That’s him standing over there.’ O’Connor tries to provoke the witnesses into more of these mistakes. This great documentary is from the new Raymond Durgnat website, which has also been doing a good job updating its publications section that show the amazing depth and breath of Durgnat's interests and of his vast published work. - D.D. My favourite time of the year: Images Festival!!!!!!! A week packed full of experimental delights! Opening night (Thursday, April 11, 2013 @ 8PM at St. Anne's Anglican Church) is not to be missed... Musician Tim Hecker with experimental filmmaker Robert Todd. Check out a program of local work while you are at it with mmNemonic DVices (Saturday, April 13, 2013 @ 10:30PM at Jackman Hall). A re-embodied performance of Alfred Hitchcock's Rope arranged by local performance artist Francesco Gagliardi (Friday, April 12 @ 3PM, Saturday, April 13 @ 3PM, Sunday, April 14 @ 3PM and Tuesday, April 16 @ 7PM at Theatre Centre) is a must see! I would also highly recommend Jody Mack's Dusty Stacks of Mom: The Poster Project (Friday, April 19 @ 10:30 at Cinecycle). 8:00PM @ St. Anne's Anglican Church. To accompany a recent blog post on John Gianvito I've translated an article about him by Nicole Brenez that first appeared in the Journal section of Cahiers du Cinéma (March 2012), which was published in conjunction with his visit to Paris for Le Cinéma Du Reel. Brenez is the programmer of experimental films at the Cinémathèque française (a position she has held since '96) as well a professor and author of many books. 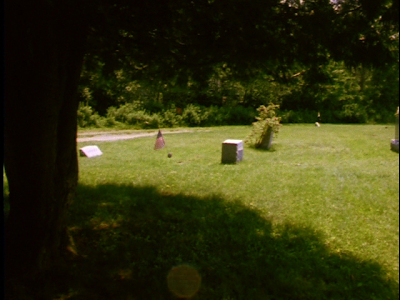 Her first collaboration with Cahiers was in their 2000 Hors-Série issue Aux Frontières Du Cinéma, which corresponded with a massive program of French experimental films that she curated Jeune, Dure et Pure (the issue also includes a good article by Stéphane Delorme, Found Footage, mode d'emploi). In the interview Brenez praises René Vautier, "The most important film in the history of cinema is Afrique 50." Since then she started to occasionally contribute to Cahiers and when she does it really stands out. Some of her most recent pieces includes reviews of Film socialisme, The Autobiography of Nicolae Ceausescu, Go Go Tales, and reviews of books about F.J. Ossang and Akram Zaatari. Brenez has collaborated with Philippe Grandrieux on a documentary about Masao Adachi, Il se peut que la beauté ait renforcé notre resolution. Brenez's only English language book is on Abel Ferrara, which was translated by Adrian Martin who also recently published a book where he explores figural film theory in her writing, Last Day Every Day. Brenez has an assortment of contributions in a variety of academic film books including ones on Ken Jacobs and Jean Epstein. In her contribution to Robert Bresson (Revised) she writes about Marcel Hanoun, "an extreme-leftist Bresson, whose superb work deserves also to be seen around the world." Brenez’s writing carries a revolutionary charge: whether it is through programming the films of the Jocelyne Sabb or her text on Carole Roussopoulos in Caméra militante (a perfect title to describe Brenez's ethos) there is an emphasis on using film as tool of social activism. This continues the politicized tradition of the seventies and might just make her the most Godardian writer today at Cahiers. - D.D. Sometimes a work arises that reassures us about the capabilities cinema has to fight on every front and to also achieve an incredible totality: formal radicalism, activist requirements, and speculative autonomy. 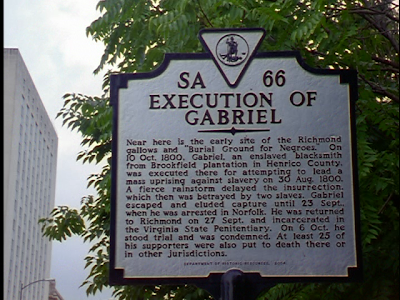 The work of John Gianvito not only achieves this ideal but also continuously intensifies his interventions on this ground by creating sites of protest, through his films, about imperialism in his country, ""There is no decent place to stand in a massacre,"says Leonard Cohen in his song,The Captain. To live, like for myself, in a military society, which is the most aggressive one in the planet, forces one to measure his own responsibilities in regards to the action of the state towards what they do at home and internationally. Neutrality is not an option." Starting with his first video-essay, according to Gianvito, cinema's potential lies in its fight against institutional oppression: Schooldeath is a "super 8 semi-surrealist short-film that was filmed to capture the perspective of the objections toward, and the obstruction of, the scholastic administration during my studies in an Jesuit military institution in Manhattan." Informed by the films of Alexander Mackendrick, Richard Leacock and Don Levy; a passionate reader of Becket, Vitrac and Joyce; Gianvito still claims that his major influences are the films of Jean Eustache and Philippe Garrel. But it's Andrei Tarkovsky whom he writes a book about in 2006. From 1978 (The Direct Approach) to 2001 (The Mad songs of Fernanda Hussein), Gianvito multiplies his stylistic experiments and structures, ranging from documentary to fictions, individual works to that of collectives (Address Unknown, 1986), that manifest through their parallel montages a melancholic rage that boils within himself about the state of the world (The Flower of Pain, 1983, What Nobody Saw, 1990). The United States appear as an inhospitable territory, haunted and in ruins, to the point that morals have crumpled in rubble and are being transformed into concrete debris like in Puncture Wounds (2002), or where September 11th in America is contrasted with that of Chile, or how it feels like after coming back from Iraq and being in New Mexico like in The Mad Songs of Fernanda Hussein. 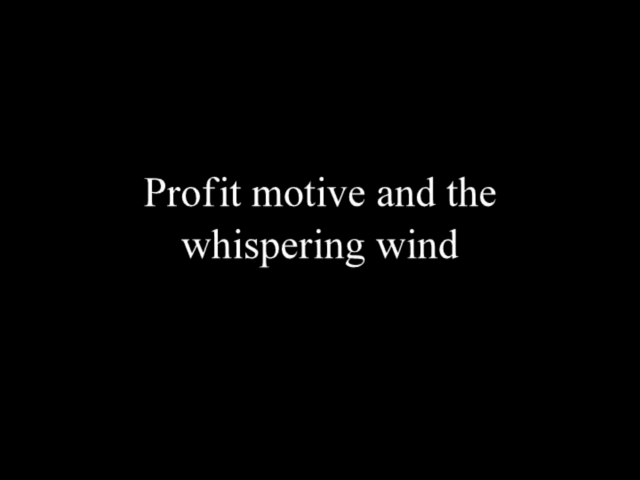 In 2007, blending the influences of Trop tôt, trop tard by Jean-Marie Straub and Danièle Huillet (1982) with that of Howard Zinn, Profit Motive and the Whispering Wind is a heightened visual hymn about the history of emancipatory struggles on American territory, from native resistance all the way to the manifestations against the war in Iraq. Then, for four years, Gianvito dedicates himself to a considerable visual terrain: "a critique of the American military in regards to the toxic contamination around an ancient American base in the Philippines (the largest overseas installation before Iraq)." So is born Vapor Trail (Clark) (2010) that prolongs and radicalizes into the present the "history lessons" of Profit Motive and will eventually be completed in an accompanying film Wake (Subik), which will be about the naval base in Subik. Meanwhile, Gianvito started another project, and this time it is a collective: Far From Afghanistan, which is a critical examination of the ten years of the American invasion and its human, ecological and economic toll. Like for Chris Marker in 1967 when he brought together many directors to make Loin du Vietnam, Gianvito brings together the strength of many activist filmmakers from different generations and countries: Travis Wilkerson, Jon Jost, Minda Martin, Soon-Mi Yoo. Partly funded by crowd funding, and diffused for a few weeks on the internet in a "October Edition", Far From Afghanistan's strengths are that of the power of documentation, reflection, description, imagination, and conviction against the discouraging evidence of what has been happening and the instituted injustices in Iraq: fighting against "imperial impunity." Establishing history, transmission, and intervention: these three functions, when used in his films, is where Gianvito excels. As before he was a filmmaker Gianvito was a programmer at the Harvard Film Archieve and MIT, a professor in direction and production at the University of Massachusetts, and a film-critic. Which goes to say that when Gianvito creates an image he knows what context it is being inscribed in, what it represents, and what artistic and social sources it can build upon for the greatest effect. "To talk about politics, for me, means talking about the politics of images. I usually begin my class 'Cinema and Social Change' by introducing the book The Media Monopoly, which was first published in 1982, by Ben Bagdikian, a media analyst. Bagdikian observes the consequences that comes from media control by 50 firms. Four years after the book's first publication the number drops to 26, and by 1990 the total is 23, and by 1996 the total is 10. In the book's latest edition, Bagdikian explains that 5 giant conglomerates control the media: Time-Warner, Dines, Murdoch's News Corporation, Viacom and Bertelsman in Germany. One must also include General Electric. What do they own? All of the television broadcasting networks, all of the Hollywood studios, 4 out of the 5 companies that sell 90% of the music in the US, the majority of cable television etc. The failure to recognize this as a major obstacle to our understanding limits our experience of reality, which is a symptom of their "success."" In the battle that rages between free media and the conglomerates, and contrary to arguments against the inefficacity of art, Gianvito situates with precision the responsibilities of cinema: to invite a "productive contemplation", transmit the memory of struggles, strengthen the courage of those who fight, and ignite debates. "If films were unable to bring about any change, why have so many of them been banned and censured in so many countries? Why was there a lot of effort that went into stopping the production of Herbert J. Biberman's Salt of the Earth (1954) at each of its different stages? Why did Raymond Gleyzer "disapear"? Why is Jafar Panahi under house arrest and under surveillance? Why was the Tibetan filmmaker Dhondub Wangchen imprisoned and tortured?" In My Heart Swims in Blood, the episode by Gianvito in Far From Afghanistan, Minerva's owl does not fly by day or night, she just remains there: alert and obstinate. In The Mad Songs of Fernanda Hussein a teenager Raphael (Dustin Scott) discovers the personal toll for standing up for his convictions. Set in New Mexico during the Persian Gulf War, the high school student is angry about his country's militarism. Encouraged by a teacher, he distributes leaflets about unreported war crimes. He attends peaceful gatherings, protests at a park, gets into fights with his parents, runs away from his home, and becomes a homeless vagrant. By following the premise that the US is responsible for crimes against humanity and that this needs to be protested, Raphael’s idealism and his descent embodies the difficulty of social protest. There is an irreconcilable gap between his personal beliefs and a desired social conformity. Raphael’s journey leads him to another protester, an older woman, who teaches him about the symbolic value of smaller scale social movements and tells him, "I realize that it hasn't stopped anybody from carrying on that war but I feel that there is something that you say to the universe that says this isn't the way it should be and there can't be more wars that never solve anything." The two other main characters of Mad Songs are a Mexican-American woman Fernanda Hussein whose two young children are tragically abducted and killed based on their Muslim last name, and a returning soldier with post-traumatic stress disorder who is having difficulty returning to his normal life. 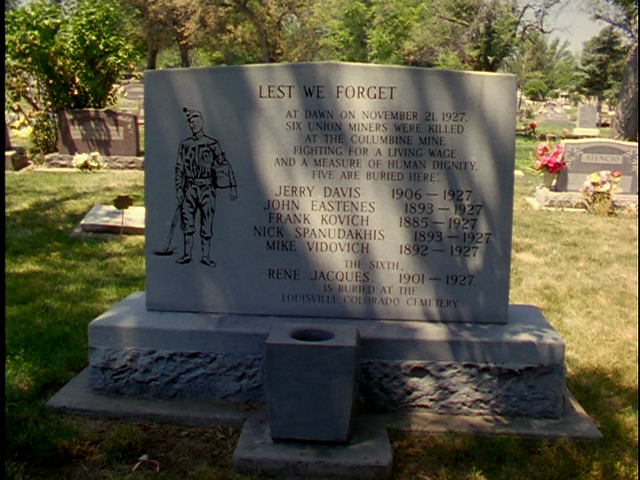 These people, along with the film's many peripheral characters, are what makes this social mosaic so complex as everyone in some way, whether psychologically or socially, internalizes the negative effects that arise when America continuously stays at war. Zinn's monumental study of American history focuses on the perspective of the working class and the poor. He emphasizes the large divide between the needs of the people and the policies of the electoral government. It is a history that progresses through protest movements and social clashes where change, however small or large, is possible. 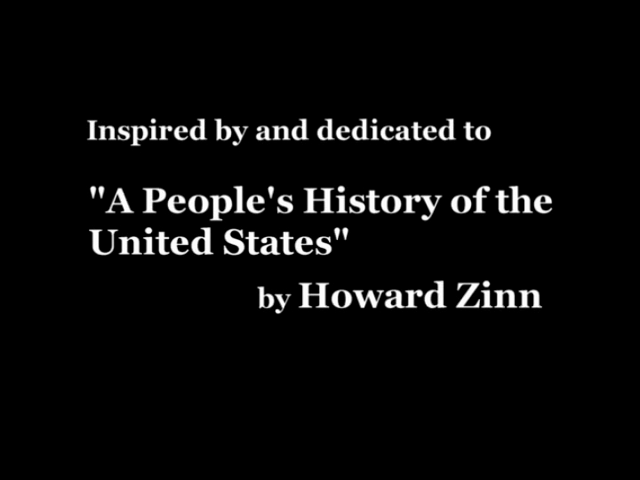 The belief and actions of people are important, and Zinn's research unearths many underwritten cases of courageous protests. There is a moral quality to Zinn’s writing as he is speaking for a larger demographic about problems with the country that go unnoticed in the mainstream press. 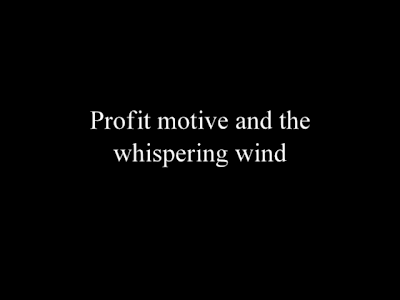 There are similarities between Zinn and Gianvito (who dedicated Profit motive and the whispering wind to People’s History). There is a utopian drive common to both thinkers, who both hope for the possibility of a better world while being aware of the difficulty of attainting it. For the two of them the ideal site is one of protest against the status quo and its forms of oppression through social movements that incorporate creativity (e.g. the excitement of protests at the end of Profit Motive). 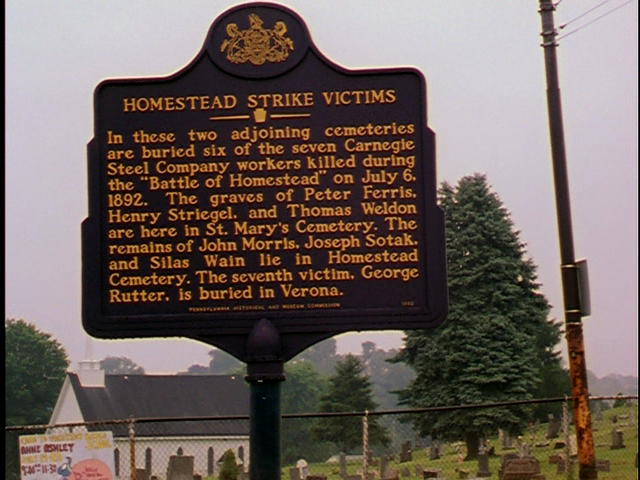 Gianvito incorporates a variety of social documents in his films in a way that is similar to Zinn’s use of quotations from books, polls, legal documents, and newspaper articles. Whether it be archival or television footage, the Naseer Shemma music sequence in Mad Songs or the animation in Profit Motive. What makes Gianvito's cinema so important is its effectiveness. When Gianvito's films are screened in an auditorium they have the remarkable ability to transform the theater - a space that is often associated with escapism and entertainment - into a site of social protest. When his two most recent documentaries played in Toronto, whether it was Vapor Trail (Clark) at Jackman Hall or Far From Afghanistan at the AMC, there is a striking juxtaposition between the film's content and the traditional viewing experiences associated with those dispositif. These recent screenings instigated interventions for the subjects of the documentaries. When Vapor Trail played at Images, Gianvito and Myrla Baldonado (with one leg in a cast) from the Alliance for U.S. Bases Clean-up, Philippines (ABC) was there to discuss the social realities of her country. When Far from Afghanistan played at Wavelengths, Gianvito and Minda Martin (one of the other collaborative filmmakers) talked about friends and family who were affected by the war, and their views on the current state of political affairs. 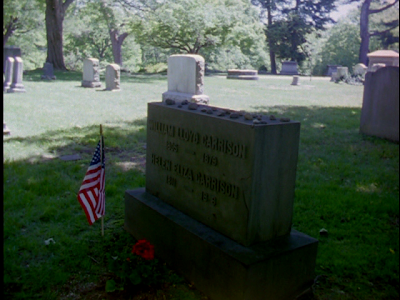 Gianvito’s films, with their focus on contentious issues within the American landscape, operate as political gestures. This is similar to Barbara Hammer’s Resisting Paradise which was filmed as part of a residency project in Cassis: after hearing about the outbreak of war in Kosovo, the film's content shifts away from the purely aesthetic towards the political. It becomes a documentary about the history of the French Resistance in Cassis during WWII, featuring interviews with some of its key figures, and an interrogation of the complicit politics of the French painter Matisse. It is this shift from the formal to the political that makes these kinds of filmmakers so vital. There are sometimes more important things than the beauty of a shot or particular camera movement. It is this tradition of political filmmaking that is currently lacking in American independent cinema. Gianvito's cinema is a beacon, speaking out against the injustices of the world in a courageous and humble manner. Gianvito's recent contribution to the Sight & Sound ten greatest films poll contextualizes the political film tradition that he works in. The list included: 1. The Age of the Earth (Clauber Rocha), 2. La Commune (Paris, 1871) (Peter Watkins), 3. Earth (Alexander Dovhenko), 4. Evolution of a Filipino Family (Lav Diaz), 5. The House is Black (Forough Farrokhzad), 6. Kuhle Wampe (Slatan Dudow), 7. Reason, Debate and a Story (Ritwik Ghatak), 8. Shiranui Sea (Noriaki Tsuchimoto), 9. Story of Kindness (Tran V.T. ), 10. West Indies (Med Hondo).